PONIES!. . 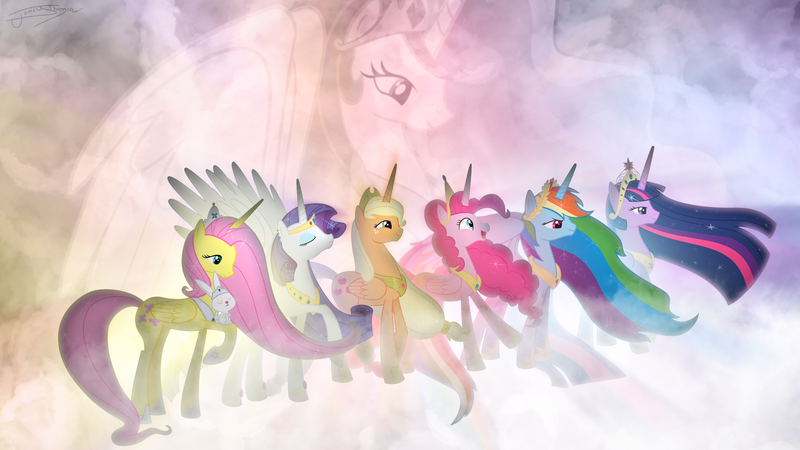 HD Wallpaper and background images in the My Little Pony - La Magia de la Amistad club tagged: my little pony friendship is magic my little pony pony. LOVE IT! 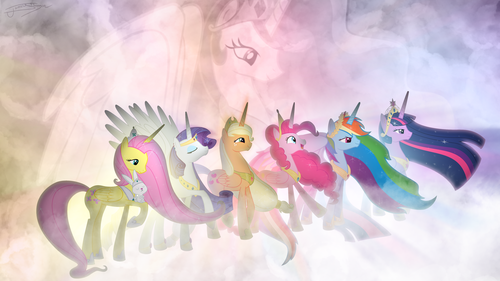 I wish this could actually happen in real MY LITTLE PONY. This is furring AMAZING!...wait...ALICORNS FLUFFING EVERYWHERE...where's luna?....hehe...is spike gonna be an alicorn....thoughts IN MAH MIND! so cool OwO so pretty i give credit to whoever created this picture ^w^ i know its not u. is it?